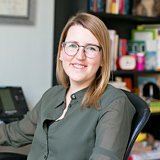 Laura Paret, PhD, is a child and adolescent clinical psychologist providing diagnostic assessment and treatment for a variety of difficulties that affect youth including mood, anxiety, learning, and behavioral issues. 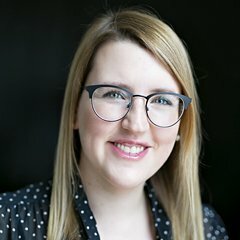 During her PhD training, Dr. Paret provided assessment and consultation regarding children’s learning and behavioral needs across several school boards and completed an externship at Toronto’s Hospital for Sick Children, working with adolescents with eating disorders in both an inpatient and outpatient setting. Afterward, she completed the Vancouver Coastal/Fraser Region Pre-doctoral Psychology Residency Program, accruing intensive experience in community-based child and youth mental health services. She then underwent a post-doctoral fellowship at Alberta Children’s Hospital where she trained as a medical psychologist managing the mental health needs of children and adolescents with neurological conditions, in particular, pediatric migraine and epilepsy. Currently, she consults extensively with faculty at several NYC private and public schools.